It was in 1926 that the story of BOST began. 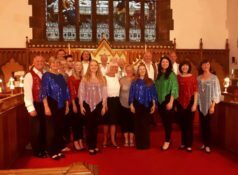 Originally called the St. Peter’s Amateur Operatic and Dramatic Society, a small group of enthusiasts from St. Peter’s Church Choir in Claughton had decided to band together and form a society to present musical and dramatic entertainment. Their first production, rehearsed in a Church Mission Hall, was ‘In The Days Of Good Queen Bess’ performed for 2 nights at Beechcroft Little Theatre. The success of this venture led to a more ambitious production, in April 1927, of Gilbert and Sullivan’s ‘Pirates of Penzance’ which ran for 3 nights. Over the period, the production venue progressively changed to the YMCA Theatre, Birkenhead and then to the Crane Theatre in Liverpool (now called the Neptune Theatre). By 1930, membership outside the church had increased so the decision was taken to change the name of the society to Claughton A.O & D.S. This decade saw the society stage the new genre of Musical Comedy. Patronage support continued to ensure full houses at each of the three performances and as the Society was unable to meet the demand for seats, it was decided to extend the number of performances to four. Another decision made at this time was to change our title to Birkenhead Amateur Operatic Society. The war forced the society to cancel their forthcoming production, but some members of the society formed a Concert Party to entertain the troops in Merseyside. After the enforced lay-off of the war years, the Society’s first priority was to decide on a policy of getting into production again. ‘The Arcadians’, produced by William Corlett and musically directed by Joseph Pass in 1947, marked the return of the Society into musical performance, and was staged at the Crane Theatre in Liverpool. Having been starved of spectacular musical shows, our audience’s demand for tickets had increased to the point of embarrassment, due to the limited accommodation of the Crane Theatre. After much deliberation, the Society’s committee made a courageous decision to move to the Royal Court Theatre, Liverpool. This proved wise and the staging of ‘Rose Marie’ at a number one professional venue, led to us entering one of the most successful periods in our history. In 1951, the Society celebrated its Silver Jubilee with the production of ‘Show Boat’ and such was its success that at every performance the “House Full” notice was displayed. Our fourth decade saw the setting of the high standard for which the society became known and was determined to maintain. In 1957, the society had the honour of giving one of the first amateur performances in the country of the world famous musical ‘White Horse Inn’, after its release for presentation by amateurs. 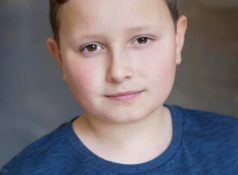 Continuing success followed with ‘The King and I’ and ‘South Pacific’ which received such overwhelming public support that arrangements had to be made to extend performances to two weeks. Even so, every seat for every performance was still sold out! In 1969, it became evident that even the Royal Court was not large enough for our ever increasing audiences, and so it was in that year that we moved to the larger Empire Theatre in Liverpool with a seating capacity, at that time, of over three thousand. 1971 marked yet another milestone. We moved into our own headquarters in Clifton Road, Birkenhead, which has served as our rehearsal and administrative base ever since. On the eve of our 1973 production of ‘The New Moon’ we were shattered by the sudden death of our friend and Director, Bill Corlett. Despite the shock and grief felt throughout the Society, we believed Bill’s direction would have been, “The Show must go on!” and so it did, bringing honour to his memory. Good fortune was with us as we found a new Director in Elsie Kelly who, with her wide experience of theatre work in both professional and amateur fields, has taken us on through the years to our hugely successful productions of the present day. In view of the society’s objectives and record in the educational field, it was decided to register as a charity, which subsequently led to the change of the society’s name to Birkenhead Operatic Society Trust. We celebrated our Golden Jubilee Year in 1976, with the show ‘The Desert Song’, in which five founder members were all still actively involved in various capacities. In 1978, the souvenir programme for our production of ‘The Dancing Years’ was awarded with the NODA trophy, an award which the society again won for several other programmes over the ensuing years. At the end of this decade, our Musical Director, Simon Phipps, left us when he moved to Denmark to take up the position of Resident Conductor at the Copenhagen Royal Ballet. In 1986, we commemorated our Diamond Jubilee with the production of ‘The Count of Luxembourg’ and hosted a Reunion Banquet and Ball for all our members and friends, past and present. In the mid 1980s, BOST was privileged to be associated with the advent of the Mersey River Festivals, singing first on the “Golden Hinde” then subsequently at the Maritime Museum. BOST continued to present a musical once a year at the Empire Theatre, Liverpool, having the privilege of being the only amateur company to do this. Growing as a Society, not just theatrically but socially too, our popular diary of events for members was expanded to include outdoor activities such as Treasure Hunts and Evening Cruises on the River Dee. This decade heralded an era when BOST revived popular musicals from earlier times, interspersing them with others we had never before staged. Our leading lady, Meryl Langford, was elected Chairman in 1999 and steered us through two consecutive Empire Shows (The Merry Widow in April 2001 and The Sound of Music in the October) to celebrate our 75th Anniversary. During this momentous year, we also hosted a celebratory Civic Reception and Exhibition at Birkenhead Town Hall. The following Show was the energetic tap-dancing Musical, “42nd Street”, which was the final work of our long serving choreographer Jimmy Webster, and was fittingly and lovingly dedicated to him. The new Century saw expansion of BOST’s influence. By invitation, we performed several times at the Philharmonic Hall and also at the Lowry Centre, Salford Quays. We introduced the Pacific Road Arts Centre as a new venue for our Concert Seasons. The Fanfare For Christmas Concerts complete with a champion Silver Band, staged here annually, proved popular with audiences and became an established feature in our Seasonal Repertoire. BOST has performed many times on our local radio station, BBC Radio Merseyside, and in 2005 sang ‘You’ll Never Walk Alone’ during the European Cup programme on Granada TV. 2006 saw our 80th Anniversary celebrated in style with our production of “Hello Dolly”, followed by a Formal Dinner and Dance at the Thornton Hall Hotel. “Oliver!” staged this year was a great success for us and enjoyed by all the company. Our presentation of the Merseyside Premiere of ‘The Scarlet Pimpernel’ during Liverpool’s year as the European Capital of Culture in 2008 was a huge artistic success, so much so that it was nominated for excellence by NODA NW in an unprecedented 6 categories. Among the awards won was the accolade of BEST MUSICAL 2008. This decade continues with an expansion of our repertoire, as we present several more shows new to BOST, to Merseyside, or to a wider area of the North West. Or 2014 show at the Empire, “Annie,” made a piece of BOST history by becoming a total sell-out over its 5 performances, people being turned away from the box office empty-handed! In excess of 11,000 people managed to get in to see it.